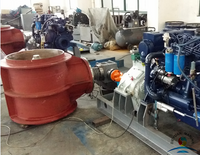 Marine side thruster is a bow thruster or stern thruster, which generally includes the prime mover, hydraulic system, remote control system and side thruster unit. 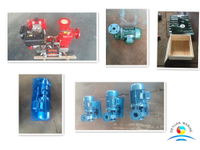 The prime mover normally is electric motor, but it can also be a diesel engine or a hydraulic motor. After adopted a side thruster, the maneuverability of the ship during low speed sailing, reverse sailing or suspension is significantly improved.